Tarot del fuego - Tarot Bulgaria ltd.
Ricardo Cavolo is a very popular and prolific Spanish artist with his artwork appearing on album covers, posters, book covers, clothing, etc. 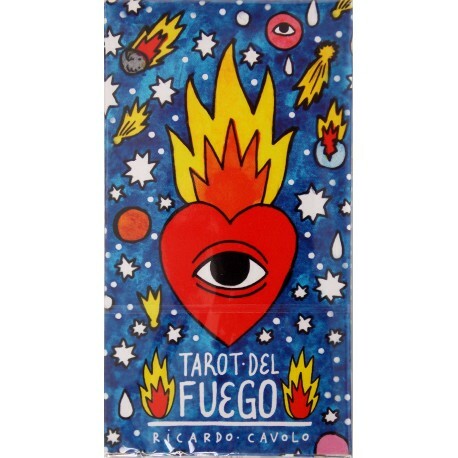 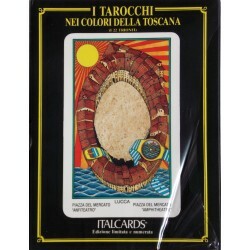 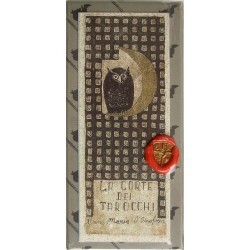 It is characterized by distinctive, vibrant colors, naive characters, multiple eyes and as this decks name implies, fire. 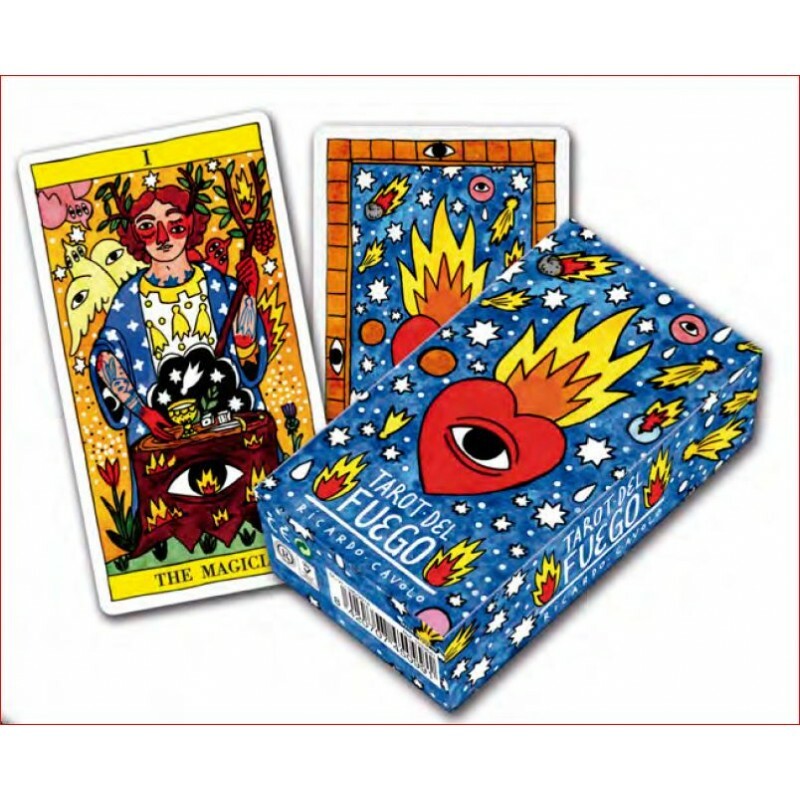 The one way back design features a flaming heart (with an eye), flaming shooting stars, stars and planets against a blue background with the Sun rising at the bottom of the card. 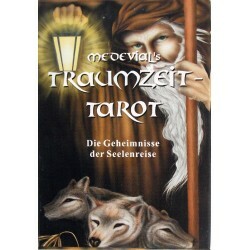 The deck is divided into the standard major and minor arcana with each card being full of symbolism.